National Pencil Company Director Gives Written Statement of Confidence in Superintendent. “I am a member of the board of directors of the National Pencil factory,” he writes. 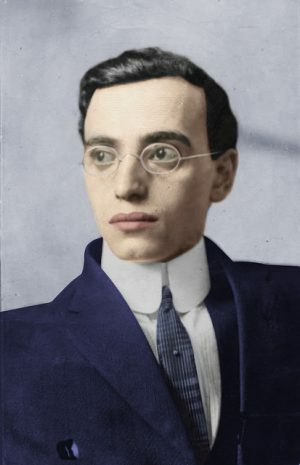 “My duties require me to be at the factory and in the private office of our superintendent, Mr. Leo M. Frank, and through the different departments of our plant. For about five years Mr. Frank has been our superintendent, and I wish to say that I have never known a more efficient, a more intelligent, a kinder or more conscientious worker. My intimate association with Mr. Frank enables me to say with the greatest pleasure that I have never known a nobler, nor truer nature; one who exemplifies in everyday life true manhood. “Mr. Frank is a God-fearing man, and stands for all that is good in our community.